Police took Reynaldo Pineda into custody on Sunday for a traffic offense. He's now charged in the sexual assault of a woman in her Arlington Heights home. ARLINGTON HEIGHTS, Ill. (WLS) -- Bond has been set a $2 million for a man accused of sexually assaulting and robbing a 68-year-old woman. 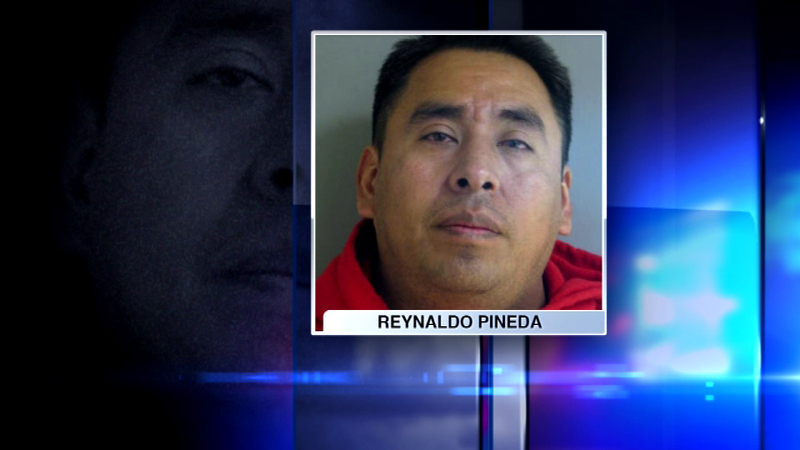 Officials say fingerprints from a recent case linked Reynaldo Pineda to the alleged assault that happened a year ago in Arlington Heights. Investigators say Pineda allegedly snuck in through a window in the woman's home. He is scheduled to appear in court again next month.